This post reviews progress against my 70:20:10 Certification pathway. It focuses on improvement of SharePoint infrastructure to better enable knowledge sharing in my business unit, Supply Chain. SharePoint is the platform that Coca-Cola Amatil (CCA) uses for intranet, shared file storage, and Enterprise Social Network (ESN). CCA does not use Yammer. In early 2014 CCA decided to upgrade from SharePoint 2010 to SharePoint 2013. In the same period we also updated the Supply Chain Capability strategy to include ‘continuous workplace learning,’ and decided to introduce Communities of Practice. At this time use of the SharePoint newsfeed was negligible, and discussion forums were not used. I had been actively using Twitter as a professional development tool for several months and could see the potential of online social to enable knowledge sharing. The upgrade scope included migration of all shared files from servers to SharePoint document libraries. If most people started using SharePoint on a daily basis for file management there was a leverage opportunity to encourage the use of other platform features, including online social. I volunteered to assist with the SharePoint upgrade to position myself to take advantage of this opportunity. My goal was to create an infrastructure that promoted online social interaction and supported Communities of Practice. Of course, simply ‘building it’ would not guarantee that ‘they would come.’ However, improving the infrastructure was a pre-requisite to creating vibrant communities. Prior to the SharePoint upgrade there were almost 150 Australian Supply Chain SharePoint sites – around 1 for every ten permanent employees. The range of sites largely reflected the geographic organisation structure. Most teams had a dedicated SharePoint site, each of which had it’s own newsfeed. This impeded online social. It was a lot of effort to find and follow either individual people or the sites of teams with similar work roles and challenges across the organisation. People could see little point in engaging in discussion on a site newsfeed if the only people they could interact with were those they saw face-to-face every day. 1) Rationalise the range of SharePoint sites to make it easier for people to find other people and resources relevant to their work, while retaining the ability to use SharePoint as part of local team workflows. 2) Build hubs to provide spaces for Communities of Practice to interact. In conjunction with IT, we redesigned the high-level site infrastructure, setting up one site for each Supply Chain function e.g. Planning, Manufacturing, Logistics. These are accessible via a dashboard. A small number of existing project sites were also retained. Each site has a single newsfeed on the home page. This makes it easier to interact with others who work in the same function, regardless of where they work. Every geographic area (State) has a landing page on each functional site, with a dashboard containing links to document libraries or other pages required for local team use. We formed a Supply Chain SharePoint migration project team with one to two representatives from each State. These people were local change agents and coordinators. They worked with local stakeholders to promote the benefits of the new infrastructure, set up dashboards, and coordinate file migration from local servers. Migration commenced in July 2014, and is now 95% complete, 18 months later. This timeframe far exceeded the estimate of 3-4 months. While the rationale for the change was readily understood and generally accepted, there were several practical challenges. The effort to clean up existing files and folder structure exceeded our estimates. Migration activity halted during our peak production season (October to January inclusive). Both Supply Chain and IT were restructured during this period. Within IT the physical migration tasks were handed over twice. Technical issues arose (if you are interested in these please leave a comment on this post and I will provide more detail). Due to these obstacles the project paused several times and needed to be kick-started again. It has taken persistence and a commitment to the long-term vision (knowledge sharing to create business value) to continue the migration. Although not traditionally the remit of a Learning and Development team, within Supply Chain my team has taken the lead on governance and support to our SharePoint infrastructure. This is an extension of our remit to support knowledge sharing and to contribute more broadly to value creation in our business through social practices. Sustainability of the new site infrastructure is a key goal. Requests for new Supply Chain SharePoint sites come to me in the workflow. I discuss the business need with the requester and help them find ways to address this need within the existing infrastructure. There have been very few site requests in the past twelve months since we implemented and promoted use of the new infrastructure. Each national site has two site owners who are responsible for site management. Along with one of my team members I provide direct support to these site owners. We are rolling out a training plan and site management routine for site owners. Additionally, migration project team members have become local SharePoint Subject Matter Experts. They provide advice and responsive local support to people on how to use SharePoint more effectively. We will sustain this SME network. We are documenting the governance framework and principles that have evolved. These include the overarching infrastructure, role of site owners and my team, support available to users, key infrastructure decisions and the principles that apply. For example, the principle of openness, means that the majority of sites, document libraries and forums will be public. Four community hubs are now set up on SharePoint using a common design. I’ve previously described the hub design and set up process. The hubs were all set up using standard SharePoint apps and have not required any maintenance. From an end user perspective, it is straightforward to post on each element of the hub. However, community interaction is impeded by limited SharePoint notification functionality. Community management, administration and reporting functionality is also limited. By default SharePoint displays newsfeed posts made by any person or on any site that someone follows. However, notice of posts on discussion boards will only display in the newsfeed if the individual posting has ticked this in the advanced settings on their personal profile. Few people take the time to adjust their advanced settings. A person can set up email notification of discussion board activity, however the way to do this is not obvious to users. After several attempts to encourage community members to set up their own notifications I manually set these up for every individual member. I also set up email notifications for members on the custom list in the Knowledge Bites site, where user-generated content is published. SharePoint social lacks the fluidity of open social platforms such as Twitter, Facebook or LinkedIn. As both an end user and community facilitator I find this frustrating and inefficient. As a result it has taken a lot of effort, support and encouragement to build online community interaction. 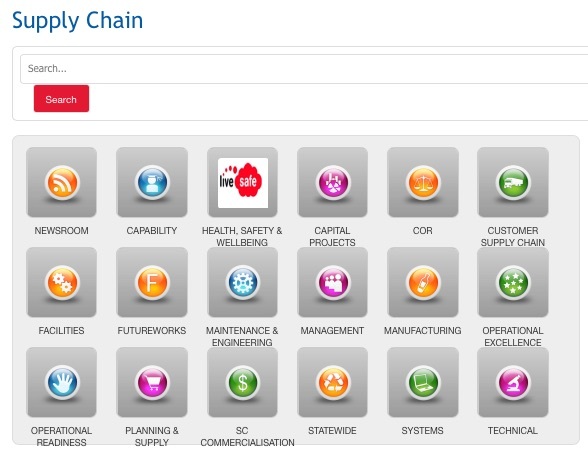 move to a new design with a single community site for all of Supply Chain using a new design recently adopted by our IT department. Some variant of these two options may also be possible. The new IT community and knowledge base that uses functionality not available in the standard SharePoint apps used by Supply Chain. This provides an alternative template for our online communities. However, it represents a shift from separate hubs for each community to one community for the whole of Supply Chain. One of the lessons we learned from our Maintenance and Engineering community is that members need to have enough common interest for them to get value from interacting. A single Supply Chain community exacerbates this challenge. We will explore the use of tagging as a means of associating content (posts or knowledge base entries) by domain to address this challenge. In effect, this could create ‘virtual communities.’ User experience and adoption are key factors to guide community infrastructure design, so we will involve a range of existing and new users to provide feedback in a test environment. I’m up for another round of grappling with SharePoint to improve the user experience and community management. Getting the infrastructure right is an important hygiene factor for building online communities. This takes more effort than it should in SharePoint. It’s effort and time that I’d rather invest in building habits and behaviours to generate community interaction. However, it is the platform that the organisation has invested in so I shall do the best with my colleagues to make the most of it. Of course I could be a more effective social curator. But how? One element of Joyce’s definition that stood out for me was the purposeful nature of curation. In early August I have an opportunity to present to a senior management team on creating business value through social networks and communities. I downloaded the Social Curation Canvas and used it figure out how I could curate to help prepare this presentation. As I started answering the questions posed in the canvas in the context of this presentation I identified some of personal strengths and opportunities across the four steps in social curation (as defined by Joyce). You can take a peek at my completed canvas here. I have an adequate set of discovery tools that I know how to use – Twitter lists, Advanced Google Search, Feedly, and Google Alerts (which I stream to Feedly). I follow a number of blogs relevant to my presentation topic. I checked what I already had in my collection that I could use for my presentation and found articles from Simon Terry, Harold Jarche, Altimeter and Wenger-Trayner that included useful frameworks to discuss business value from Enterprise Social Networks (ESNs) and Communities. I identified gaps in my collection in case studies and research with good metrics, so will set up more specific information streams via Google Alerts and asking my Twitter network. I check my information streams sporadically and with inadequate focus. In the coming month I shall check the key streams relevant to my presentation twice per week during my early morning Professional Development sessions at my home office desk. In particular, I will look at the new Google Alerts I set up and my Community Twitter List. I will also start interacting more with people on social media who are interested in community management and ESNs. This may be a long tail activity which does not directly contribute to my research for the upcoming presentation, but will yield longer term benefits. I always skim through an artefact before deciding whether to add it to a collection. I am drawn to artefacts that are clearly written / presented, and include useful frameworks, diagrams, or models. I am more likely to collect if it has been shared or endorsed by someone whose authority or interest in the topic I trust. As I prepare for this presentation I will be on the lookout for data, metrics and research rather than models and frameworks (I have enough of these). Diigo works well for me. It’s easy to add to collections, especially using the applet on both my computer and iPad. It’s also easy to find artefacts using either tags or search. My tags could be better organised, but this is not an near-term priority. My collections under the ESN tag and Community tag allowed me to find artefacts in my existing collection of value for my presentation. My primary audience for this presentation is my Senior Management Team, who do not use public social media for professional purposes and rarely interact on our ESN. One of the goals of my presentation is to encourage them to use both so that they can experience professional value for themselves and awaken them to the possibility of value creation through more widespread organisational use of networks and communities. So, while the face to face presentation is the key sharing opportunity, I shall also share relevant artefacts on our ESN in the coming month. My presentation will be more compelling if I can demonstrate value using artefacts and ideas discovered through my network. My secondary audience for artefacts on this topic are people with an interest in creating value in organisations through networks and communities. By sharing relevant artefacts with them on Twitter my Personal Learning Network builds and they may reciprocate with links to further relevant artefacts. I will also share what I have discovered on the topic via a blog post after my presentation. As an activity for the Social Media for Active Learning MOOC (SMOOC – Twitter @SMOOC2014) I have designed a lesson incorporating the use of social media tools to support active learning. I’m sharing this to encourage others to consider the use of social media in their lessons. The context for this lesson is to encourage use of social learning using my company’s Enterprise Social Network (ESN), Sharepoint 2013 by getting people to narrate their work. As such the choice of Sharepoint as the tool for this course was clearcut. While initially daunted at the prospect of designing a lesson using social media, as I read participant posts on the SMOOC discussion boards I realised that my existing instructional design skills are entirely relevant to this task. The new bit is knowledge and skill with available social media tools to decide when and how to use them. This made my specific task more approachable as I am already using Sharepoint2010. While our upcoming Enterprise Social Network upgrade to Sharepoint2013 (with enhanced social functionality) means I need to update my skills, I felt adequately confident in my existing knowledge to do a high level lesson design. Our upgrade is in May, so I aim to run the pilot in July and rollout in August. Shall do an update post on the final product and outcomes after this time. Very appreciative of feedback on this design – what improvements do you suggest? In this post I reflect on the social learning skills of the team in which I work. This is the second part of the social learning skills review I completed as part of the Social Learning Practitioner Program. I lead a small core team of capability consultants and instructional designers who create and support implementation of learning programs and resources across our Business Unit. We work closely with Capability Managers in a range of geographical areas who represent the managers and learners who are our internal customers. They also drive local use of programs, and are key change agents. We refer to this extended team as our ‘Capability Community’. We use Sharepoint 2010 as our Enterprise Social Network (ESN). We have a public community site which is used primarily to publish learning materials and reference documents for meetings or joint projects. These documents are rarely developed collaboratively. Our community meets fortnightly via teleconference, supported by online document/screen sharing using Microsoft Lync. Outside of this meeting we use email to communicate as a group rather than Sharepoint. Community members support each other to solve performance problems and share resources when asked; however this is done primarily in response to a specific request from an individual rather than sharing resources and experience as an ongoing part of how we work. I have attempted to introduce some use of Sharepoint’s collaboration and social features, with limited take up. Working together socially supported by our ESN is different to how our community members currently work together or with other teams that they participate in, and I have not been explicit with the group about the change in behaviour that I am trying to encourage and why. Also, use of external online and social media tools to support personal learning by individual team members is limited, hence community members do not have this experience to adapt or model. Our interaction in our fortnightly one hour catchups has matured from status reporting and project decisions two years ago to now starting each meeting with verbal updates of what each person has been working on and engage in more discussion of our experiences on common activities. This has helped the team to identify more opportunity to share resources and draw out/upon each others experience. I think the group is well positioned to take the next step and try narrating our work online. Our ESN will be upgraded to Sharepoint 2013 next month, along with relocation of our department files from a series of folders in Windows Explorer segregated by geography to Sharepoint team sites set up by function . The new team site structure creates significant opportunity for people doing similar work across the organisation to better connect and share, and we can set up our online space in a way that better supports collaboration and social learning. Our community met face to face last week for two days to refresh our capability development strategy – our first face to face session in well over a year. We committed to improve our knowledge sharing practices and trial use of Sharepoint to support continuous learning in our Community, providing a role model for other groups and building experience that will help us to support development of other communities in our business unit. Please leave your observations on this ‘case study’ or tips on how this team could become more ‘social’ in how we work in Comments below. I’ll do an update post later in the year to create a case study.